days when craftsmanship and individualism was the hallmark of the "good stuff." This not-for-profit site is to encourage those interested in enjoying and preserving vintage lightweight "racing" style bicycles (road, touring, track, randonneur & elegant city) from the early 20th century until 1983. (Why?) These primarily have steel frames, most often lug built, and not welded, injection molded, nor glued. We are not including mountain bikes, BMX, recumbent, middle weights nor balloon-tired bikes. 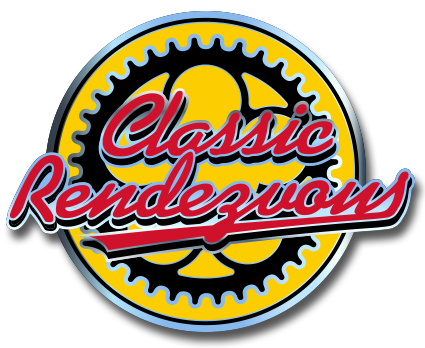 Those bikes have merit, but are not "On Topic" for the Classic Rendezvous. 2.) providing images of original bicycles & components. 3.) providing information & history about the makers. 4.) listing resources for enthusiasts. Use as an "email list" or online forum. Please read & follow the rules, they are different! Google group members around the globe. 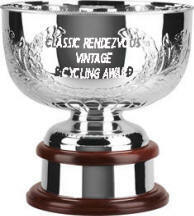 Recognizes those who have given generously of their time and talent to further the vintage lightweight bicycle hobby. The 2018 recipient was John Barron!